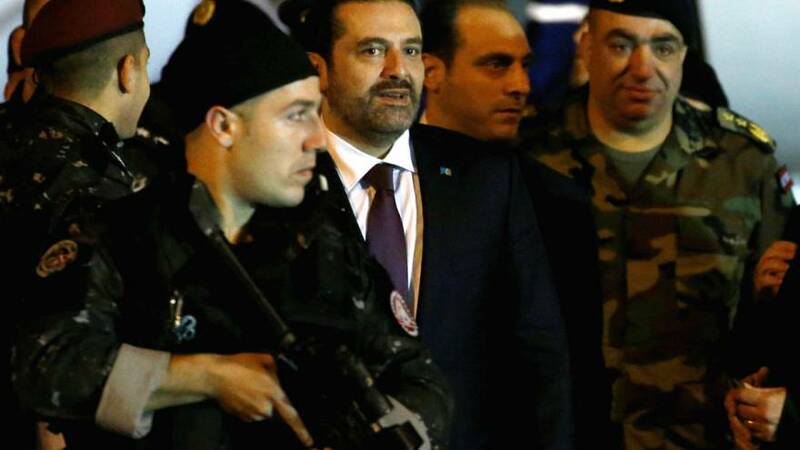 Lebanese Prime Minister Saad Hariri has touched down in Beirut for the first time since announcing his resignation in Saudi Arabia two weeks ago. He was welcomed by supporters but also members of the security forces. Hariri shocked his home country by announcing he was quitting during a trip to Riyadh. Accusations arose claiming he was being held hostage as speculation grew that it was more as a result of a regional power struggle with Iran. In a televised statement Hariri claimed he feared assassination. Lebanese President Michel Aoun has refused to accept his stepping down until he returns to present his resignation in person while his supporters are hoping he will change his mind. Lebanon is run by a national unity government which includes the Iran-backed Shi’ite Hezbollah group. Hariri has accused Tehran of sowing “discord” in the region and that Hezbollah is destabilising his nation.